SUNDAYS. MONTHLY. BRING A CREATIVE PROJECT. Thank you! We’ll be in touch shortly with booking confirmation and payment details. 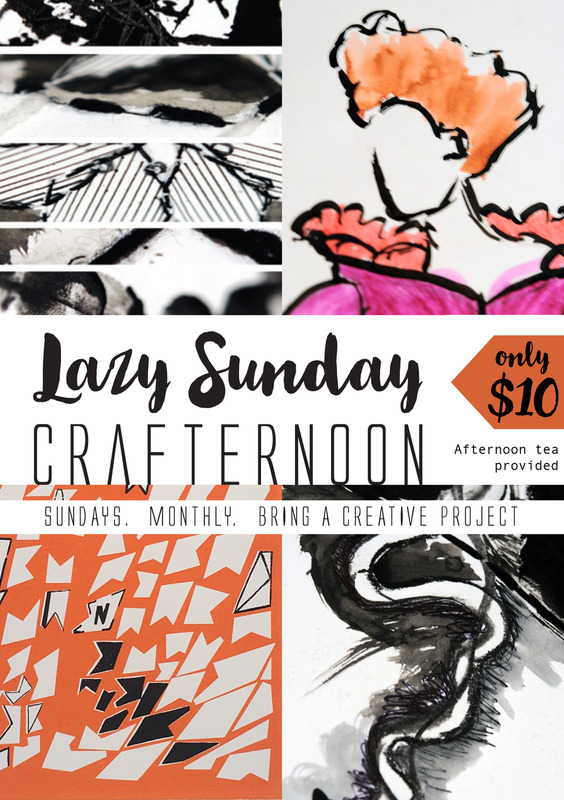 Meet like-minded people during this 3-hour ‘Crafternoon’ session. Share your skills. Share your stories and be inspired. BRING YOUR OWN CREATIVE PROJECT. ...and any subject: design, fashion, animation, fine art, photography, illustration. you name it! NO AGE LIMIT! & NO AGE MINIMUM! If you cancel on an event there is no refund. However, if the event is cancelled due to insufficient enrolment your money will rollover to the next event held. THERE IS NO LIMIT TO HOW MANY EVENTS YOU COMMIT TO. (And also no minimum). Those wanting to commit and pay for an entire 12 months, for example, are more than welcome to do so. PAYMENT MUST BE MADE WITHIN 3 DAYS OF ENROLMENT. Your spot is not secure unless we receive payment. And If we do not receive payments before the event this will be classed as insufficient enrolment. Therefore we run the risk of having to cancel the event and wait till the following month to resume.